The Sony A6000 is a great, affordable camera. The high quality sensor and relatively low price make it popular among hobbyist photographers and professionals alike. For under $600 you can get the A6000 with the kit 16-50mm lens. But many people hate on the kit lens online. They criticize its sharpness, optical quality and vignetting. So what lens should you get if you want to upgrade from the 16-50mm? One popular option is the Sony 35mm f/1.8. It's the lens that I use almost exclusively for portraits and video work. It's super sharp and performs well in low light. But it costs around $450 USD. 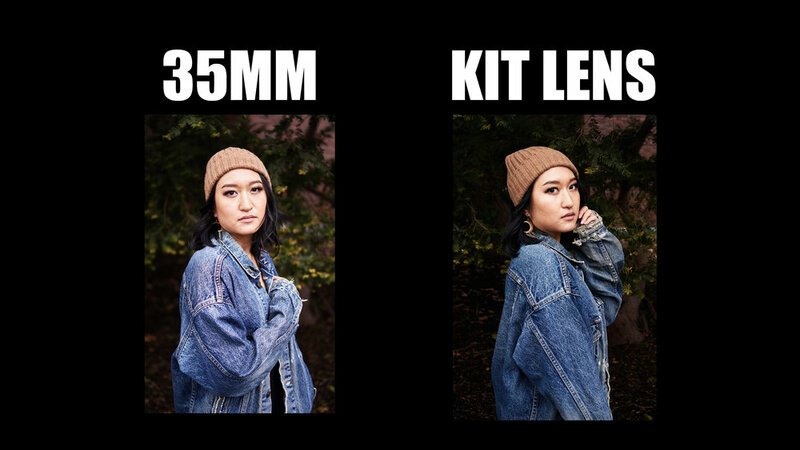 So how does the kit lens stack up against the 35mm f/1.8? There are a couple of clear advantages that the 35mm has over the kit lens. For starters, it's much sharper than the kit lens. You can really tell the difference when you see closeups on eyelashes and fine details. I much prefer to shoot with the 35mm lens for my portrait work. The second advantage is the wider aperture. This allows you to get more pronounced bokeh and better low light performance, as well. The kit lens is more flexible than the 35mm because of the zoom. You can pull out to 16mm and capture wide shots, such as landscapes and architecture. You can also zoom in to 35mm or 50mm for headshots. This also makes it a good lens for video, especially if you're doing run and gun style video with changing environments. I filmed a tutorial recently where the main subject in the video was moving around a lot. One minute she was two inches from the lens, the next minute she was fifteen feet away. Having the kit lens in that scenario was really useful. Which Lens Should You Have in Your Bag? For the vast majority of my work, I use the 35mm f/1.8. It's great for portraits and I use it for a lot of my YouTube videos. When I want to go a bit longer, I use my Sony 50mm f/1.8. But increasingly, I'm using the kit lens more for run and gun style videos. I always like to keep the kit lens in my bag just in case. I recommend having both lenses in your kit if you can afford it. If you're looking to upgrade from the kit lens, then the 35mm is a no-brainer. Older PostZeiss 55MM f/1.8 Lens Review: Is It Worth the Hype?